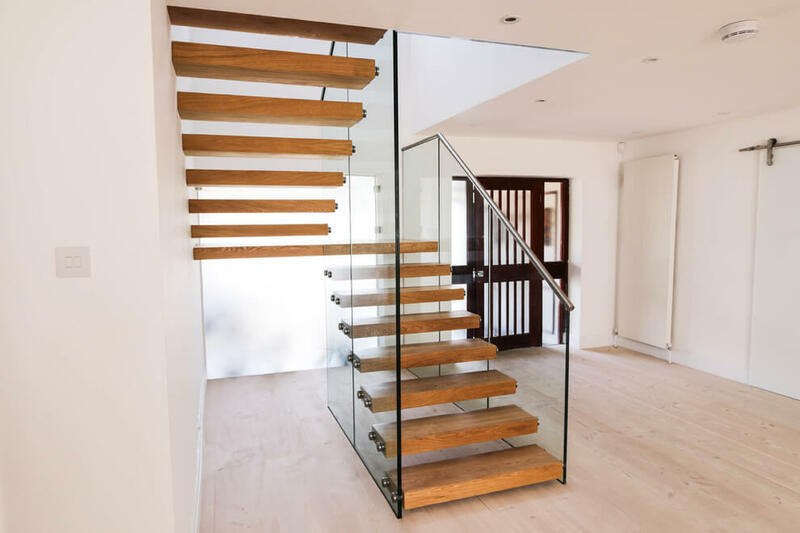 This modern interior took inspired us to try something truly unique. 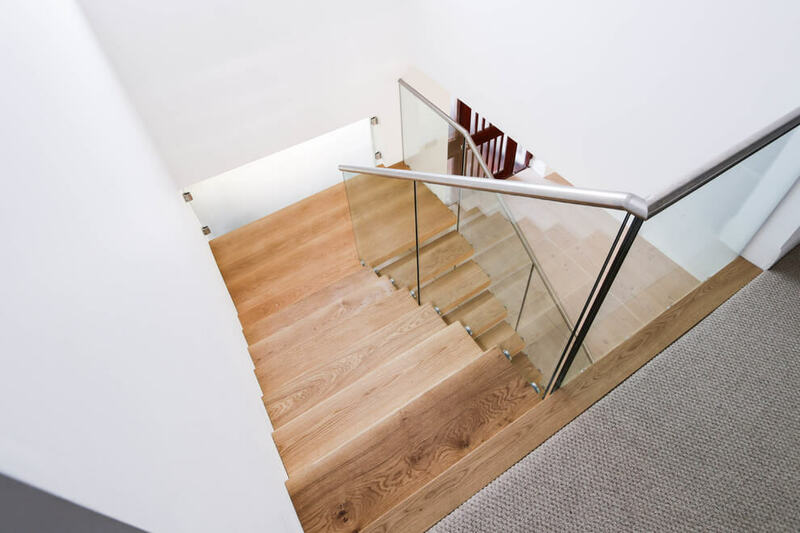 We managed to conserve some space by spreading the staircase wider and twisting it by 180 degrees halfway through. 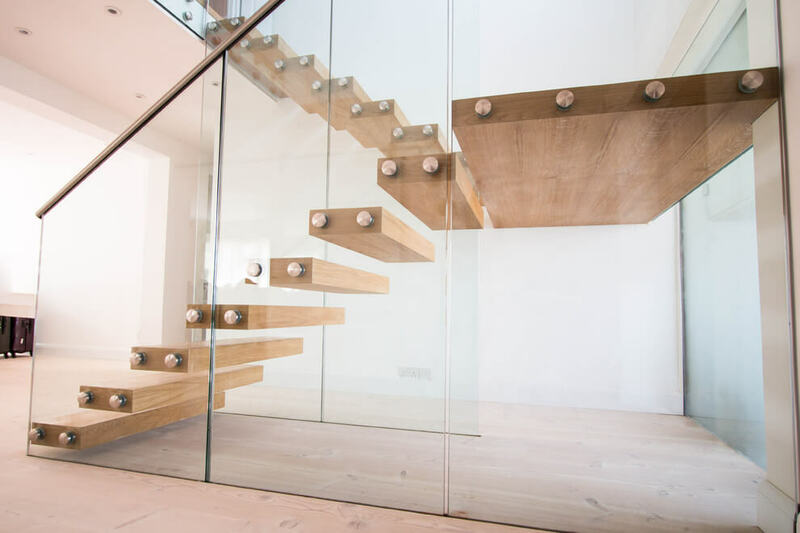 The treads are very thick and made of oak, held together by sturdy stainless steel bolts, adding a very prominent, bulky accent to the otherwise light interior. 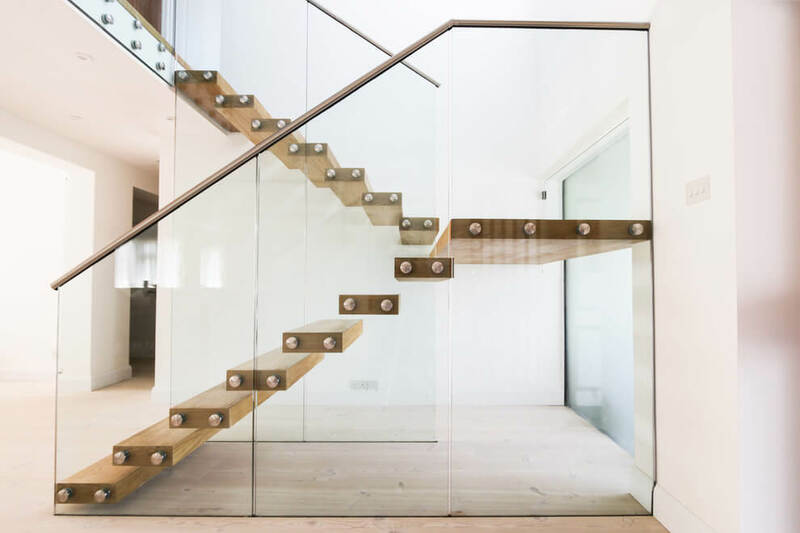 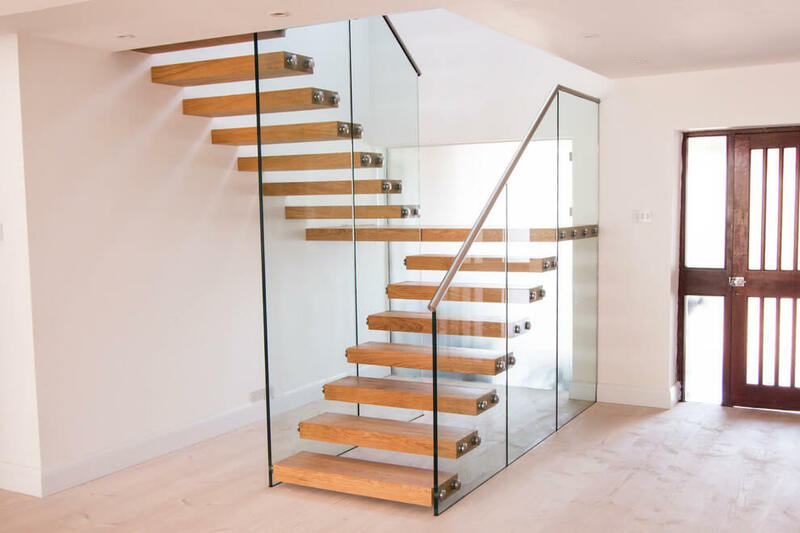 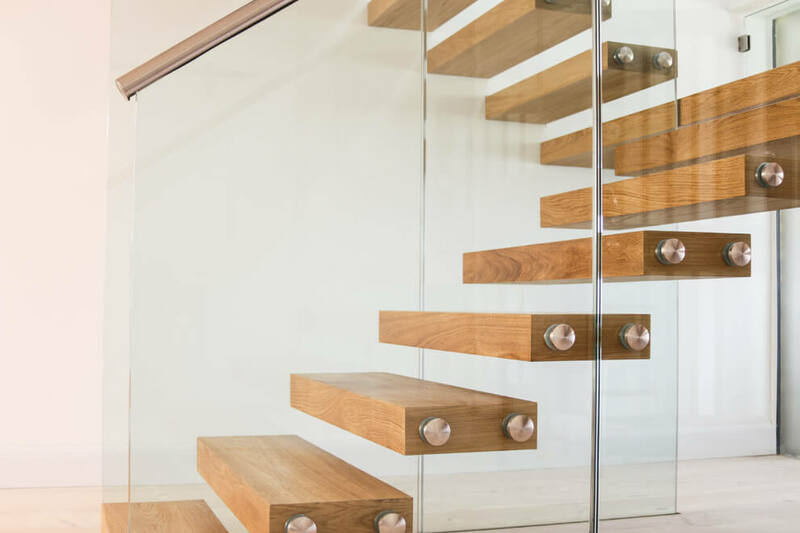 The balustrades rest on reinforced glass panels that have been installed on top of embedded channels in the floor for extra stability and security.